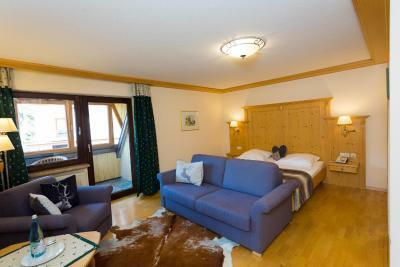 Lock in a great price for Hotel Schlehdorn – rated 9.1 by recent guests! service at the breakfast and dinner table was excellent! Great and Friendly place, kids (7 & 5) loved it, whether it's the play room or the indoor pool. location is excellent, everything is a short drive. Apartment was nice and big, full of everything you need. Everything was excellent, we felt like home. The staff was so nice and kind. It is the second time that we stayed at this hotel and the location, the breakfast and the atmosphere is great And Mariska, thanks for letting us feel like home. Great hotel, excellent staff, very good breakfast. 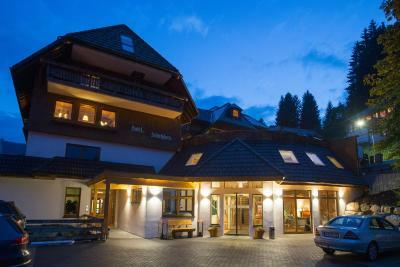 The hotel is closed to all attraction in south Black Forest. Sure we will come back again (next time in the winter). Very warm welcome with a complimentary drink on arrival and efficient Checkin . 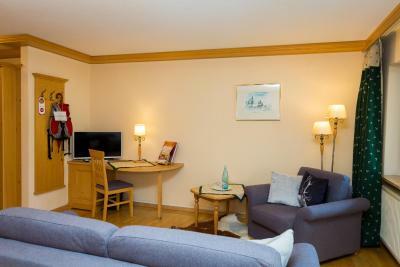 Huge room with sofas and 2 balconies one extremely big with table and chairs. Lovely big bathroom. 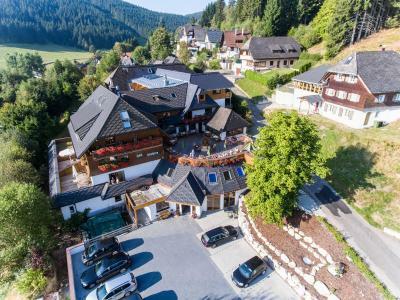 Fantastic half board package and for over 2 night stay the Black Forest tourist card is provided free which gives free and reduced price entry into many activities and attractions including free lake boat trips. 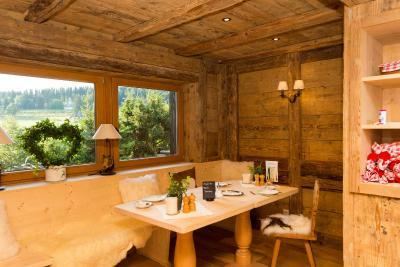 Lovely restaurant , fantastic breakfast. Beautiful garden and terrace plus spa and swimming pool. 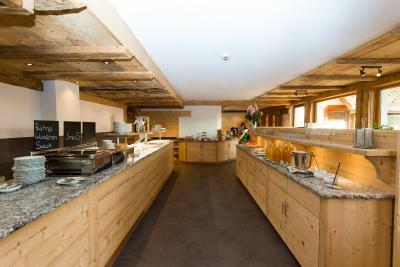 beautiful hotel, the rooms are great, confortable, extremely clean, cosy. the spa is fantastic, food is great. simply perfection. From the warmest of welcomes to fondest farewells this hotel is an absolute gem. 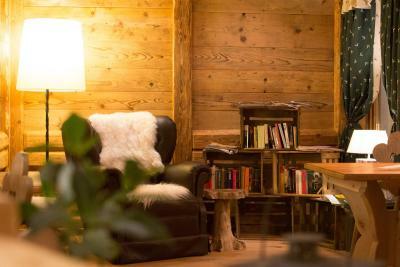 The location is perfect, the staff are all helpful and attentive and the room is comfortable, clean and cosy. 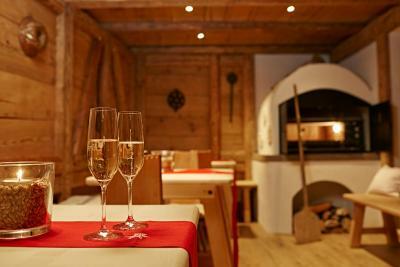 The restaurant serves delicious food and the service is fabulous. 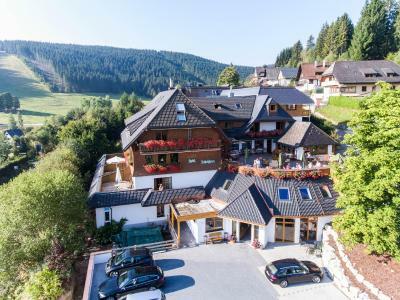 If you are thinking of a family holiday in the Black Forest then this place is ideal. 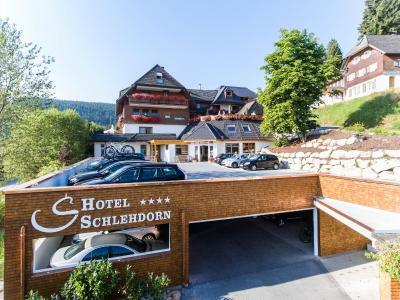 Hotel Schlehdorn This rating is a reflection of how the property compares to the industry standard when it comes to price, facilities and services available. It's based on a self-evaluation by the property. Use this rating to help choose your stay! 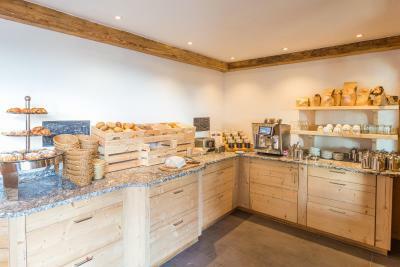 Spacious rooms with balcony, free Wi-Fi access and free rental bikes await you at this family-run hotel in Feldberg Altglashütte. Relax in the spa area with indoor pool. 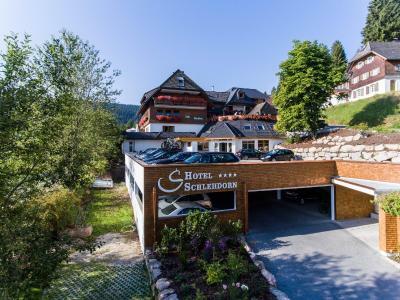 Surrounded by the Southern Black Forest and offering wonderful views, the rooms of the 4-star Schlehdorn Hotel feature wooden furniture and all modern facilities. Wake up to a large breakfast buffet, which is included in your room rate. 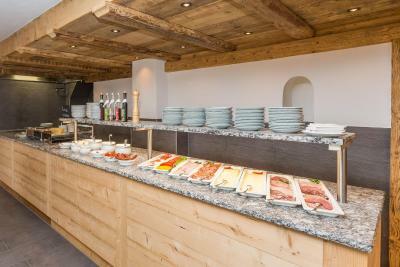 At other meal times, enjoy a wide range of dishes from the Baden region. 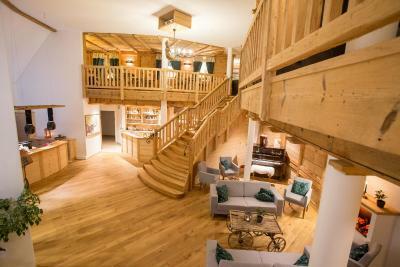 Keep fit in the Schlehdorn's modern gym or visit the attractive spa area with Finnish sauna, steam room and hot tub. Massages and cosmetic treatments can also be booked. Younger guests will enjoy playing in the hotel's large playground, or in the games rooms where you find table tennis, darts and table football. Use the free rental bikes or Nordic walking poles to explore the wonderful countryside. A 30-minute drive takes you to the Feldberg - the highest peak in the Black Forest. 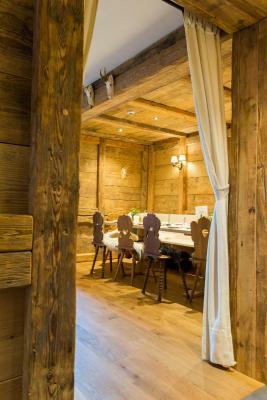 When would you like to stay at Hotel Schlehdorn? This holiday home features a balcony and a kitchen. 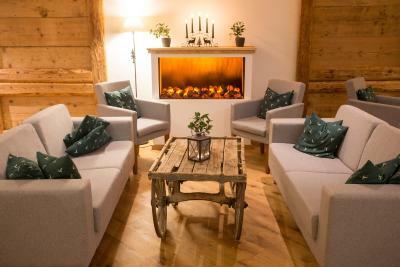 Please note that the holiday home is cleaned once during your stay if you stay for 7 nights or more. The Check-In time for this unit is from 4pm. This double room features a balcony, flat-screen TV and bathrobe. This apartment is distributed between 2 floors and has a balcony, sofa and bathrobe. This apartment features a balcony, sofa and toaster. This apartment has a balcony, stovetop and sofa. 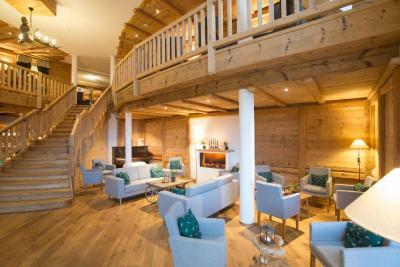 House Rules Hotel Schlehdorn takes special requests – add in the next step! Debit card Hotel Schlehdorn accepts these cards and reserves the right to temporarily hold an amount prior to arrival. Hotel Schlehdorn accepts these cards and reserves the right to temporarily hold an amount prior to arrival. 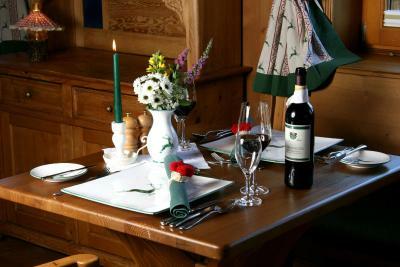 Guests staying for at least 2 nights receive a Hochschwarzwald Card (Black Forest Tourist Card). 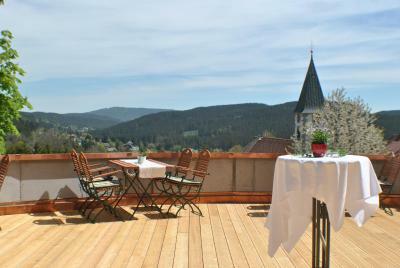 This offers discounts and free entry to over 50 attractions in the Black Forest area. 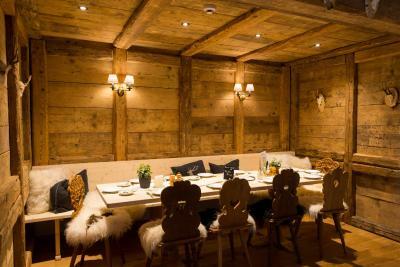 Please note that the The Check-In time for the unit "Berghaus" is from 4pm, all other rooms from 3pm. The only one big downside is that this hotel is located next to the busy road (number 500) and opposite a large gasstation. 24/7 there is traffic on the road and cars visiting the gasstation. One can hear it 24/7 and the exhaust gasses can be smelled it in the room (we had a suite) when one returns from a day in the countrysite. If this downside wasn’t there, this is would be true gem and worth its pricelevel. Now it is simply overpriced given the location. Its a decent hotel owned and run by a family. As with all these type of hotels, the staff makes the difference. They were fantastic and contributed highly to the enjoyable stay we had. Small room , not like we've seen on Booking. Hotel situated on a a very busy road and not conformed to the location which was Feldberg....A totally crazy tub , where you can not stay or you sink ! A balcony where everyone could see you. Breakfast , staff very friendly. The pool was too cold for swimming in May, and we could not figure out how to use the sauna. 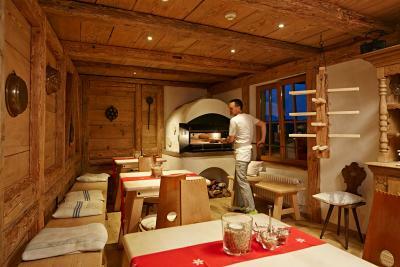 Schlehdorn is in a quiet hamlet, which we liked, but if you are looking for nightclubs and action, this is not the place. 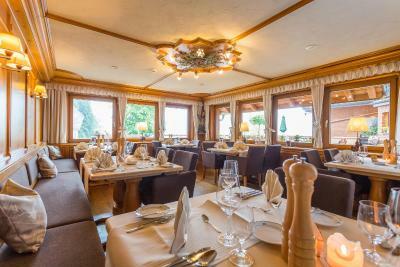 Luxurious family-owned property, with outstanding restaurant, and spacious rooms & shared spaces. The staff was attentive and friendly. Thought we reserved one room, but we got a suite with a huge bath and a sitting area. 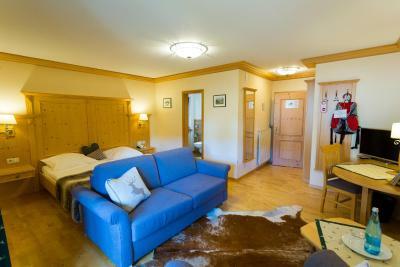 Close to Lake Schluchsee, Feldberg skiing and excellent hiking. The service at the reception table was a little inconsistent. I was welcomed by a lovely middle-aged lady who was so helpful and gave me instruction on the nearby transportation. But the second time I encountered a younger lady who did not even smile at once. A little confused but overall good service. The restaurant was fantastic. Good food and great service. I didn't have the chance to enjoy the pool and sauna but would definitely recommend them. Nothing much. Maybe a little bit far from the bigger ski lift, but good manageable.